There's just something about jumping on to the train heading for the trip fantastic. Being taken away to a world full of rainbows, dancing unicorns, talking pink elephants and fluffy bunnies that poop jellybeans. Not that I condone the use of psychedelic drugs or anything along those lines, but there really is something fantastical about letting your mind go off into the world of wonders and just let it absorb your senses. This brilliant dark fantasy takes us down the proverbial rabbit hole, as we follow the main character Ofelia on a journey through an ancient labyrinth. Ofelia's journey is more than just physically completing the tasks assigned to her, it's learning what and who she truly is. Her journey of self-understanding takes her deeper into the mythology and mysticism of the labyrinth, eventually coming to a much higher understanding about herself. We all know the story of Neo, or at least we should know it. Neo was just as we all could potentially be: trapped in the machine. It wasn't until he met Morpheus, Trinity and the crew of their pirate ship that he finally understood the truth that there was so much more to reality outside of the daily grind brought forth by the machines. Neo's journey is as much a story of a hero as it is a quest to become truly self-aware. This tale of life after death is a journey of awareness and hope in the face of despair. In What Dreams May Come, Chris (Robin Williams) has died and is being guided through the afterlife, only to be faced with a decision that could change his entire afterlife: journey into Hell to rescue his wife who committed suicide or stay in the wonderland that is as beautiful as he can imagine it to be. As the oldest person, in the year 2092, Nemo is recounting his life story. His life story which seems to change course in an instant, with each change comes a new path and potential future. These paths eventually converge, with aspects of each bleeding into the rest leaving Nemo and everyone around him wondering if any of these lives are real or if everything is simply a figment of his imagination. 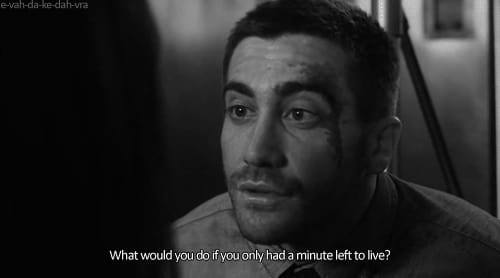 Eight minutes, that's all Colter Stevens (Gyllenhaal) has to discover who is behind an explosion of a train that he is on. After the train explodes, Colter awakens in a pod and is told that he is in the midst of a science project that allows him to be inserted into another persons consciousness during the last 8 minutes of their life. Colter repeats these 8 minutes over and over, each time learning something new, ultimately discovering what his life truly means and how he can connect with others. Memento is two stories wrapped in one; the first a story of a man who faces each day while trying to cope with his short term memory loss after his wife's murder, the second is the story of a man leading up to the assault on his wife. Are the two men's stories connected? Are they the same? These are the questions that are brought out through the mind-bending film. Donnie doesn't get along with anyone: his family, his teachers and his classmates. Yet, he has one friend - a true ally named Frank. 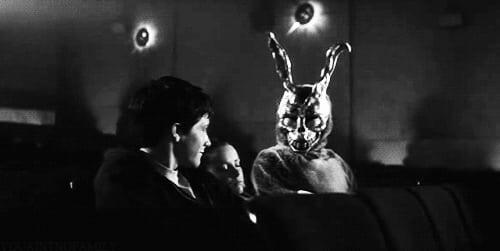 Frank is a large bunny whom only Donnie can see, and their relationship causes Donnie to question his entire understanding of reality thanks to a series of disturbing visions given by Frank. No list on mind-bending, reality twisting movies would be complete without Inception. This movie follows a group that enter the dreamscape of another man in order to gain secrets and to alter his perception of the real world outside of the dream. The twist of inception is that it's believed to be impossible - planting an idea is a dangerous concept, and one which the team must utilize perfect planning and coordination, only to need to throw it all out the window when an enemy comes that only one man can see coming. Whether you're a Doctor Strange fan or not, you've got to admit that it looks like it is going to be an incredibly trippy adventure, and these movies all follow a similar concept.